Jonathan was born and raised in Lyon County, Kentucky. 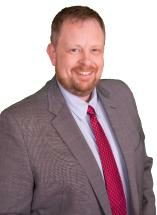 He has been a licensed, practicing attorney since November 2002. His law practice focuses almost exclusively on civil litigation in Illinois and Kentucky, with primary experience in automobile and trucking accident litigation, premises liability litigation, personal injury litigation, trust and estates litigation, construction defect litigation, business litigation, and contract disputes. He also advises clients doing business in Illinois and Kentucky; has experience with assisting clients in professional regulation matters, employment matters, and contractual disputes; and regularly represents individual clients with personal planning and advice. Jonathan practiced exclusively in Southern and Southeast Illinois from 2002 to 2008, handling a wide variety of matters, including personal injury, insurance defense and transactional matters. He has argued before the Illinois Court of Appeals, 5th District, and has authored a number of briefs to the Illinois Appellate Court, the Illinois Supreme Court, the Court of Appeals of Kentucky, the Kentucky Supreme Court, and in the federal courts, including to the Sixth Circuit Court of Appeals and the Federal Circuit Court of Appeals. Since late 2008, he has additionally been licensed in Kentucky and has practiced extensively throughout the 15 western-most counties of Kentucky, and before the U.S. District Court for the Western District of Kentucky.